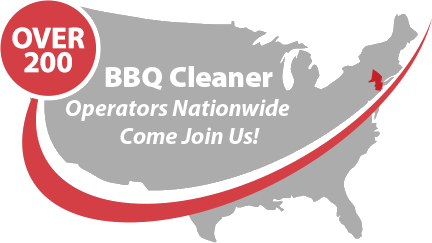 The BBQ Cleaner is offering a BBQ cleaning business opportunity in South Dakota that does not require a costly, initial investment. As we are also not selling a franchise business, there are no royalties to pay on a monthly or annual basis. What’s more, the potential for earning a stable income from this business is very large. There are many residents in South Dakota that are requesting for such services. The advantages of running a business like this include choosing when to work and what rates to charge your customers. You can be sure that The BBQ Cleaner is behind you at every step of the way to grow your business. If you ever thought of starting your own business in South Dakota, this is an excellent opportunity you should consider. It is a low risk venture and you do not require having the experience and knowledge of a C-level executive to put up this business. As long as you are willing to keep learning from this business, you are well on your way to success. Why Start a BBQ Cleaning Business in South Dakota? Great Outdoors: Most families in South Dakota spend their days outdoors grilling their food when the weather is fine. This will gives you an opportunity to grow your grill cleaning services. No Shortage of Customers: South Dakota residents own their own grills, which means that they will definitely want professional BBQ and grill cleaning services. Few Competitors to Face: The market for BBQ grill cleaning services is not as competitive as other niches in South Dakota. You can be sure it is easier to grow your business. Lots of Potential for Growth: You can easily hire more staff or add more vehicles depending on your needs. How Does The BBQ Cleaner Help You Get Started in South Dakota? Since our inception in 2009, we built a network of more than 180 operators in the country. We are also a global leader in the BBQ and grill cleaning industry, which means it will be easy to unlock your earning potential through the assistance of our professional team. Aside from the all-in-one package which you can make use of to start your BBQ grill and cleaning services, we can also assist you through our on-going lifetime business support at The BBQ Cleaner. This guarantees that you will be able to grow your business successfully with ease. Talk to us today to find out more about this stellar BBQ cleaning business opportunity in South Dakota!